When faced with serious financial difficulties, the debtor may have various options suggested to him by friends, family or other colleagues in whom he may have confided. Or it may be that his bank manager, one or more of his creditors or his business colleagues suggest what he should do, again assuming that they are aware of his financial circumstances. As in any important decision making process, it’s best to avoid plumping for what might seem an attractive solution at first and the well-meaning but sometimes erroneous advice of friends or colleagues. Really the first thing to do is to diagnose the problem. You wouldn’t want your doctor to prescribe medication for you off the top of his head without first talking to you, examining you, diagnosing your medical condition, perhaps running some tests and maybe seeking advice from a specialist or a more senior medical practitioner. So if you have a financial ‘condition’, the first thing to do is diagnose it before opting for a solution. A reputable debt advisor or Insolvency Practitioner will do this for you. After initial consultation to find out if you are insolvent, you will need to provide the necessary documentation and information relating to your income, your household expenses, your assets and your liabilities. The first diagnosis will be important and that is whether you are solvent or not. If you are unable to pay your debts as they fall due, then you would generally be regarded as being insolvent, although you might well have assets which if realisable and realised might be sufficient enough to discharge your debts. If you would like to talk to one of our advisors to find out if you are insolvent, get in touch with us for free and confidential advice. If you speak to an advisor and they explain that you are indeed solvent, this means that you should have enough money each month to service your debts. However, you may very well still be in financial difficulty and in need of support. In this case you may be advised to enter an informal agreement with your creditors (debt management), or to restructure your borrowings, or to enter into a debt management plan, or even to sell off some of your assets. 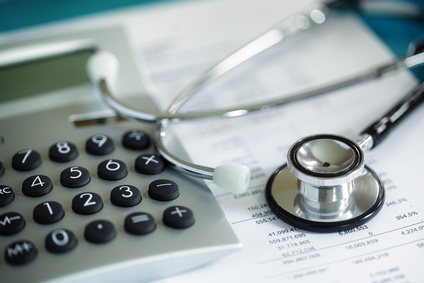 The diagnosis of your situation will make the most suitable informal solution easier to identify and your debt adviser should be able to spell out the pros and cons of any possible solutions. If on the other hand you speak to an advisor and they conclude that you are insolvent then you will require the services of an Insolvency Practitioner or IP. Obviously there are degrees of insolvency and your IP will explain all of the options available to you indicating which is most suited to your financial circumstances. The usual choices for addressing personal insolvency are Bankruptcy, often described as the last resort option, an Individual Voluntary Arrangement (IVA), or a Debt Relief Order (DRO). There are of course other options such as re-mortgaging or selling assets such as a house and using the equity released or sale proceeds to settle debts with creditors. Or it may be that family or friends may be able to advance funds to help the insolvent person. Not many people would be lucky enough to be able to avail of this. For many people, the stigma of bankruptcy is still a major impediment to going down that route and if ruled out the choice is then between an IVA and a DRO. Key factors to be considered are affordability, duration, sustainability, acceptability to creditors, restoring credit worthiness and of course the hope and ambition of being debt free at the end of the chosen process, hopefully within a reasonable period of time. Your Debt advisor or Insolvency Practitioner is duty bound to fully explain the ins and outs of any Insolvency solution that you are eligible for and to advise which one will be your optimum choice. Different Insolvency procedures are designed and suited to insolvent people with varying circumstances, so it is usual that you will have a ‘best option’. We have outlined the basic details of the Insolvency solutions available below. You are unable to service any of your debts. You have little or no disposable income and you may or may not have assets. Any assets you do have may be dealt with by your Insolvency Practitioner and will be divided up amongst your creditors to compensate for the outstanding debt. You can declare yourself bankrupt or a creditor that you owe money to can apply for your bankruptcy. Bankruptcy usually lasts for 1 year, after whcih you will be discharged from the bankruptcy and released from your debts (with certain exceptions in some cases). 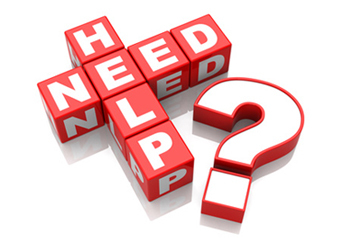 A Debt relief Order is sometimes referred to as a form of “mini-bankruptcy”. It is similar to Bankruptcy but for insolvent people who have total debts of no more than £20,000 and little or no assets (not exceeding £1,000). You can also keep a vehicle in a Debt Relief Order (not exceeding £1,000). 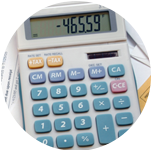 In order to do a Debt Relief Order you cannot have a disposable income above £50 per month. An IVA is an Insolvency Solution that is considered as an alternative to Bankruptcy. 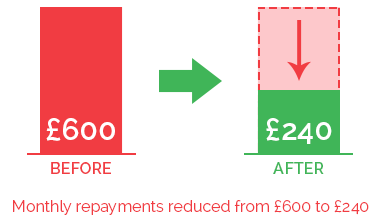 In an IVA you pay back what you can afford to your creditors in monthly affordable instalments. You can only do an IVA if you have some sort of disposable income (above £130 per month) to offer your creditors each month or if you have access to a lump sum. If you are thinking about dealing with your debts then get in touch with us at McCambridge Duffy. We have expert advisors who can assess your situatuion fully and can determine what the best option is for addressing your debt problems. All advice is free and confidential. Fill in the form on this page and we will contact you as soon as possible. This entry was posted in Bankruptcy, Debt Relief Order, DRO, Individual Voluntary Arrangements, Insolvency, Insolvency Practitioner, IVA and tagged Bankruptcy, Debt Relief Order, insolvency, iva. Bookmark the permalink.